Not so long ago it was impossible for local showbiz personalities to record music that they actually like. Music executives think they know better by maintaining complete control of their ward's material, asserting their draconian power for profitability and fan servicing instead of helping artists become the best possible version of themselves. Tied to contractual obligations, the artista is expected to keep one's end of the bargain, even if it is required of them to murder a Sharon Cuneta classic and turn it into a mess of epic proportion. But let us break this one to you: Last week's release of James Reid's new full-length record, Palm Dreams, was actually a bold move, seemingly serving up a middle-finger in hope of putting an end to the archetypal artista albums. Prior to its launch, the Diary Ng Panget actor talked to his label, Viva Records, about his intention of overseeing the creative direction of his music—from writing his own songs down to picking the producer suited for the material. "Everyone feels the same," James Reid lamented in his recent interview with The Philippine Star's Supreme section. "They feel like it's so hard for someone to make it big in the music scene and release music that's artistic, real, and not manufactured for the masa. I wanted this album to be something that people could relate to because it's cool." With its cutting-edge production and emotional honesty, Palm Dreams is the much-needed reboot that homegrown pop deserves. Paulo Tiongson aka Poor Taste, an upcoming electronic producer based in Manila, devoted his full-attention to producing the album, ramping up his hustle with interesting flourishes and faded-neon soundscapes. His meticulous eye for detail somehow helped James to reach his end goal of creating quality content that balances contemporary songwriting with unique creative approach. From the nakedly lustful vibe of "Turning Up" to the end-of-the-summer transcendence of "Cool Down," everything about Palm Dreams is a sonic treat filtered amorphously to champion James' personal music vision. And we have Poor Taste to thank for that, especially in making sure James doesn't suffer from the fate of his peers' lackluster music projects. But there's more to Palm Dreams than its smooth, nocturnal sounds. At the helm of the record is James Reid's commentary on fame and how lonesome that can feel. "You know I've been working hard/and I got a show," James sings over thumping beats and '80s electronic undercurrents on "Cool Down." Yet somehow, there's something about being on top that suffocates the soul, and James articulates the experience seamlessly on the carrier single without sounding wounded and defeated. 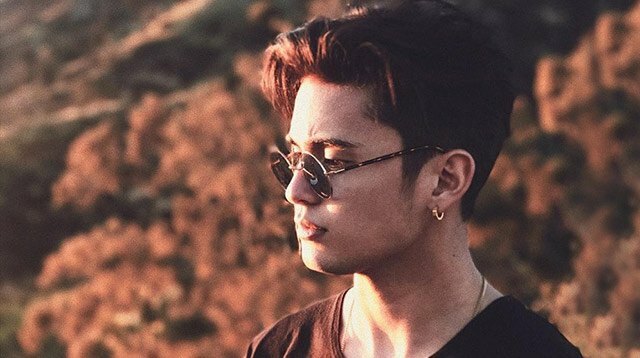 Even when he is opening up to being fragile when it comes to love, or giving in to his own sexual desires, James carries a swagger that shows off different aspects of who he is off-cam. "On Top" has clearly found its groove as an upbeat banger that paints James Reid as a resident loverboy capable of making any women swoon. The Nadine Lustre-duet "IL2LU" hints at emotional vulnerability in what is otherwise a mid-tempo R&B banger. Both songs are a satisfying departure from James more wholesome persona, his voice showing uncharacteristic restraint and soaring qualities that seem fit to the production's elaborate touches. When James slows things down and leaves his recluse self unguarded, he entices us back to another rewarding listening experience—only this time, he takes it a step further to his romantic life, opening us to a world of messy, crazy fun loving. "You are all I want so much/ that I put it in a song," he croons on "Forever," as if wringing confessional truth even at the expense of being judged. "Can we just stay home/ we can take turns on the PlayStation," he continues, hinting that it's a song about Nadine Lustre—who, from the get-go, is a self-confessed PlayStation fan. What makes these sentiments work in an album context is the sincerity, the diarist tales of romantic affection, youthful excess, and intimacy. It champions a personality that is more colorful than what we perceive on television and film, a real person who is unafraid to reveal his flaws, his weaknesses, all the stuff that could pass off as tabloid fodder. Amid a backdrop of atmospheric haze and laid-back chill, Palm Dreams is not here to serve an audience. These songs prove that James is no longer a blank canvass. He is an artist capable of controlling his own destiny. This article originally appeared on FHM.com.ph. Minor edits have been made by the Cosmo.ph editors.